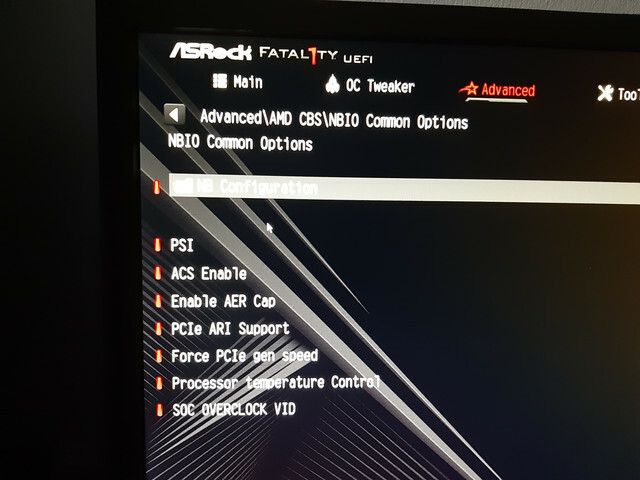 From last two BIOS updates in OC Tweaker I have only "auto by AMD CBS" and manual. My Ryzen 5 1600x stay at 3.7GHz and don't boost to 4GHz. His temp in Ryzen utility is 30-35C. but I don't have it in my BIOS, current 3.20 version. What application are you using when it goes to 3.7? If the application uses all of your cpus threads, the cpu is not designed to boost to 4.0ghz. The cpu will only go to around 4.0ghz if 1 thread is being stressed. That's what I have, like options. Honestly games are beginning to use 4 or 8 or nore threads. You can chalk the 3.7ghz up to the game using a few cores. If you want the cpu at 4ghz when all cores are being used, overclock it. JZ guy recommend me to downgrade BIOS to 1.90 or to his BetaJZ version 1.82L, but as this mobo don't have BIOS backUP, talk with Asrock for fixed BIOS. So for now what I know for sure. No PBO options in BIOS for Ryzen 1000X only for 2000X+ series. This is the reason for XFR menu, all confirmed by Asrock Support. [SOLVED] Best way to save BIOS settings before BIOS update? Question How do I set up the MSI Z370 motherboard? Question Please press DEL to enter UEFI BIOS setting.